December 3, 2008 - League City, audio only. May 15, 2007 - audio only. Monitor the implementation of priority legislation addressed by the Subcommittee on Flooding and Evacuations, 80th Legislature, Regular Session, and make recommendations for any legislation needed to improve or enhance and complete implementation. 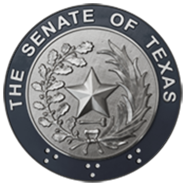 Report on the implementation of SB 1436, which transferred the National Flood Insurance Program from the Texas Commission on Environmental Quality to the Texas Water Development Board. Make recommendations for improving the efficiency and effectiveness of the program.